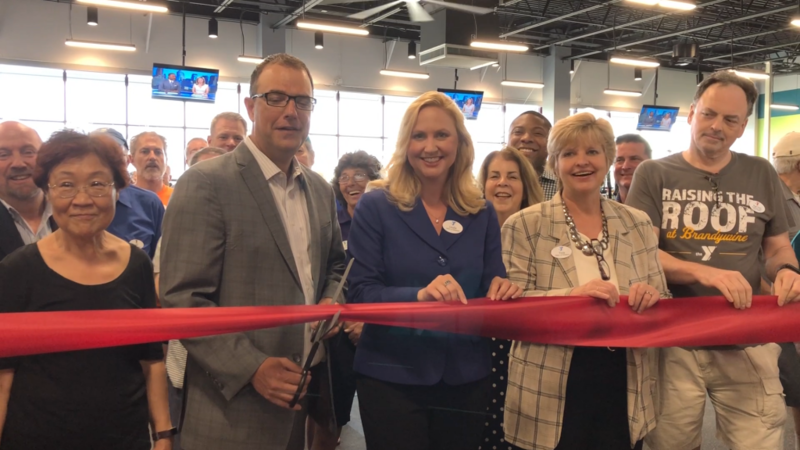 The YMCA of Delaware hosted a ribbon cutting ceremony in June to officially open the newly constructed second-floor fitness center at the Brandywine YMCA. Phase two of the project is complete and members are now able to enjoy 19,000 square feet of brand new space which includes a new fitness center, movement studio, new cardio, strength and adaptive fitness equipment, and an outdoor second-floor terrace. “Today marks a major milestone in the completion of our building expansion project,” said Linda Risk, Executive Director of the Brandywine YMCA. “We will now have a better opportunity to serve all ages and families as well as meet the changing needs of our community. And this is just the beginning as we are still on track to complete the final phase of this project later this year,” Risk added. The third and final phase has now started and renovations will include another fitness studio, a dedicated cycling room, youth fitness center, babysitting room, and teen lounge. This project also will allow more space for the Y’s evidence-based programs including Diabetes Prevention, Healthy Weight and Your Child and LIVESTRONG at the YMCA. The ribbon cutting was well-attended and covered by WDEL News, NBC10 and 6ABC. The Brandywine Y provides more than $600,000 in financial assistance each year to help ensure that everyone can enjoy the services the Y offers, regardless of ability to pay.